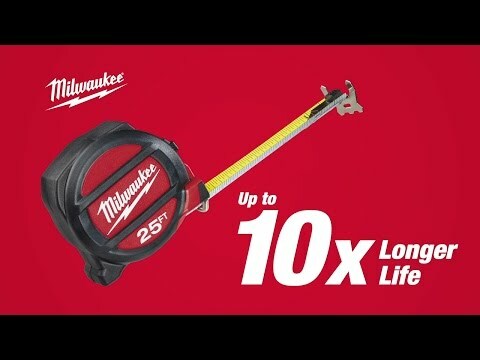 Milwaukee Tool Magnetic tape measure with SAE measuring system, has yellow/white nylon bond blade construction. It has 1/4-Inch : 1-ft and 1/8-Inch : 1-ft graduation. Tape measure has built-in shock absorber that protects blade tip. 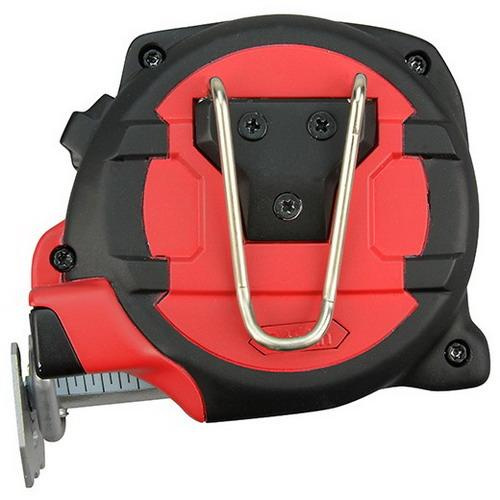 This tape measure has red/black impact-resistant ABS plastic case. It has dual magnets that prevents roll-off when measuring steel studs, EMT and threaded rods. It has wire form belt clip that reduces pocket tearing. This tape measure has blueprint scale that calculates 1/4-Inch and 1/8-Inch drawings. It comes with 360-degree hook attachment. It measures 16-ft x 0.875-Inch.